“Poke” is raw fish salad from the Hawaiian cuisine with sesame oil and soy sauce that is usually served as appetizer. I like to use the two rather unconventional ingredients tahini -a thick sesame paste- and ketjap manis – a thick Indonesian sweet soy sauce- to make this dish even better. The tahini makes the poke incredibly creamy and the ketjap manis gives it a nice sweetness. Every time I make sushi I always make sure to serve a nice bowl of sesame tuna poke with it. Or make yourself a delicious poke bowl by putting your tuna on top of some rice. A perfect and healthy main meal! Recently I have even put this poke on a pizza as well! Sound weird? Oh well, it was really delicious! Just have a look at the picture below! Come on, you know that looks to die for! 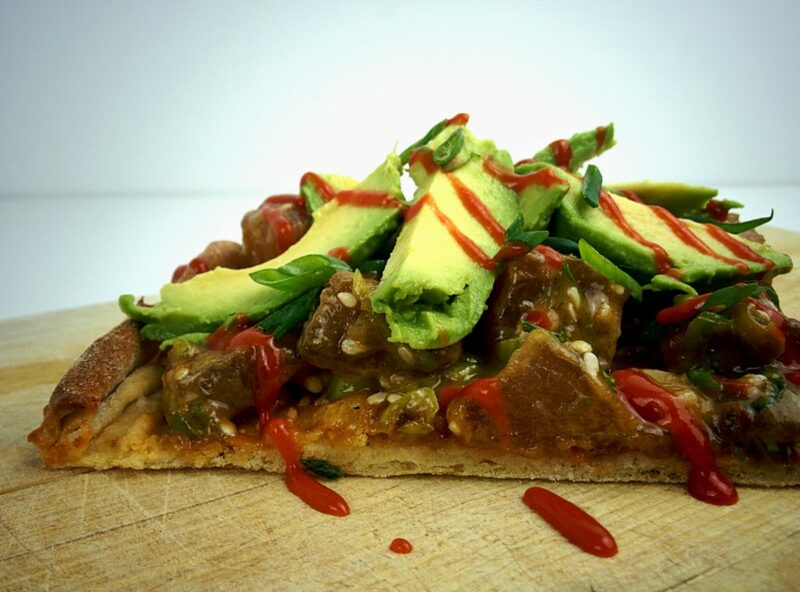 Delicious tuna poke pizza with avocado and sriracha! Finely slice the spring onions and the jalapeno. Mix well with all the other ingredients, except the tuna, in a bowl and season with black pepper and salt. Taste and adjust the seasoning if you think something is missing. This is your marinade. Cut the tuna into small 1 by 1 cm cubes. Add the tuna to the marinade, mix well, cover with plastic wrap and let sit in the fridge for about 4 hours. Well, it’s raw tuna! Nothing more to for now! 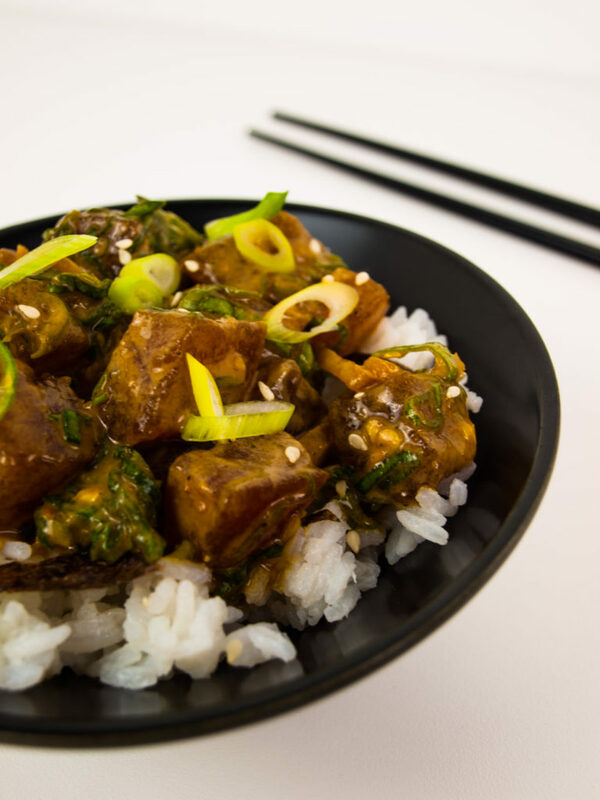 Serve the tuna poke together with sushi rice in any way you like! Let me know in the comments what you think of the recipe! Do you think the tahini is a step too far for poke? Think the flavors are overpowering the tuna? All your comments are welcome! This is great but seriously lacking in Sake! I’ll let you slide this time but don’t let it happen again.